This 24 to 27 December come to Café Kantary and get a hearty helping of holiday goodness. Our Christmas turkey set features delicious roasted turkey, mashed potatoes, green beans, stuffing, cornbread and our soup of the day. 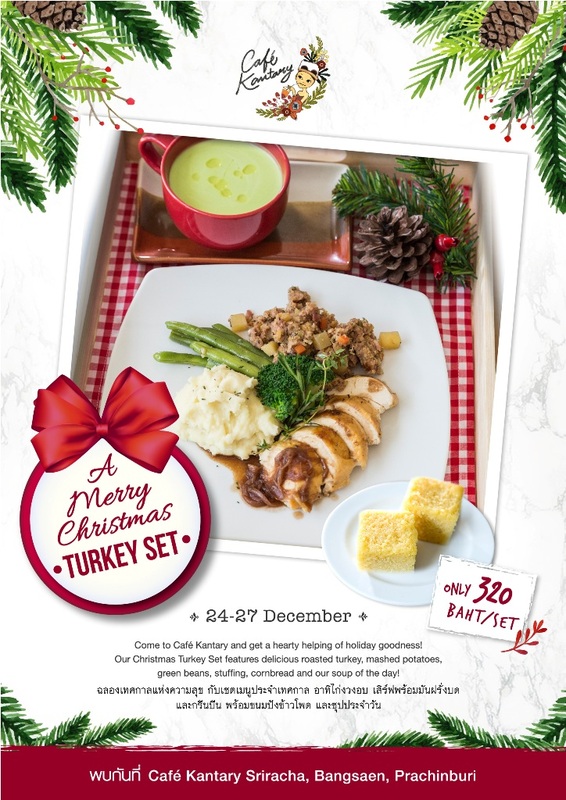 Enjoy this delicious meal for only 320 baht net at Café Kantary locations in Sriracha, Bangsaen and Prachinburi! For more information please contact our call centre at 1627 or visit our website at: www.cafekantary.com. วันที่ 23 ธันวาคม 2558 เวลา 08:17 น.